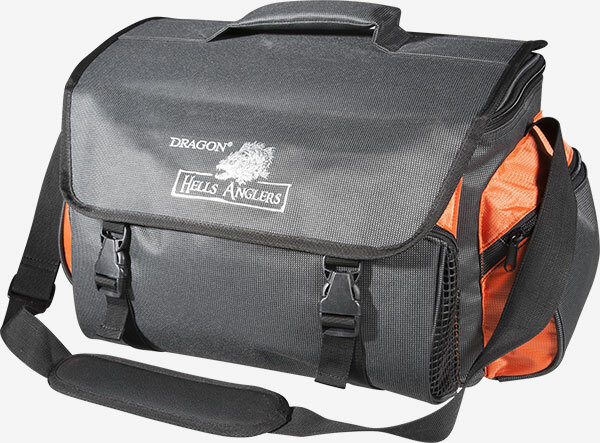 Fishing accessories are very important piece of equipment of an angler. 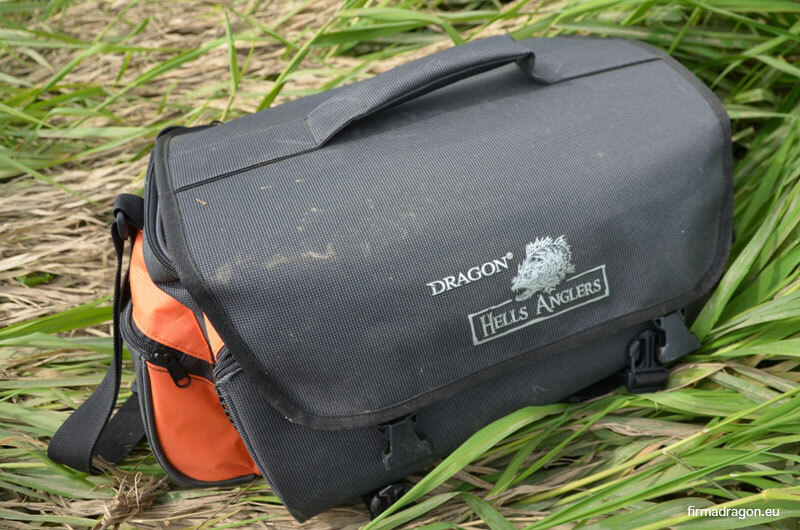 Our comfort of fishing depends on the choice of good accessories. 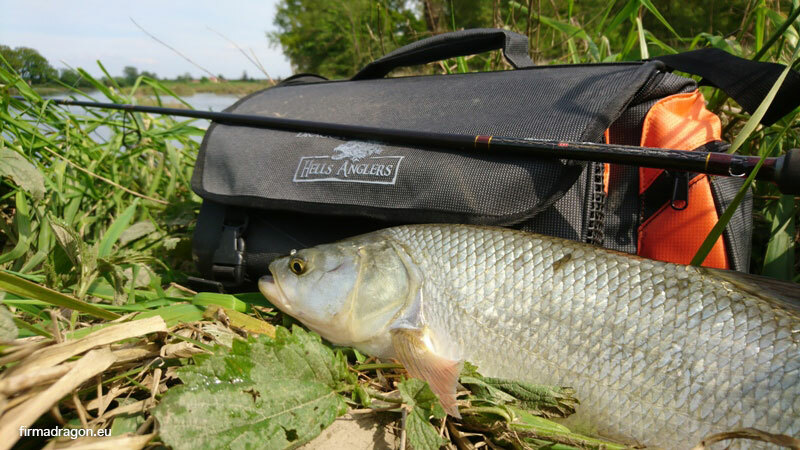 They can also save our time on a fishery. 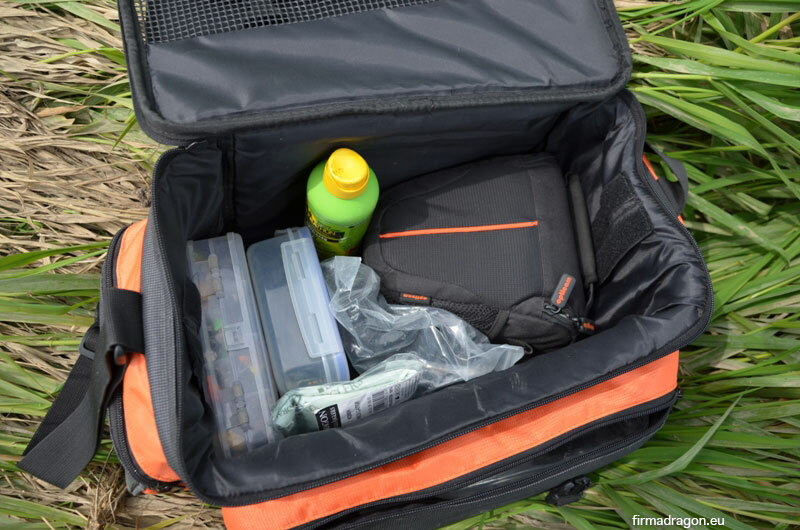 Well designed bag or rucksack must fit not only additional boxes with lures or additional reel and also the things which are essential for many anglers - camera, small tripod, food supplies and mosquito repellant. 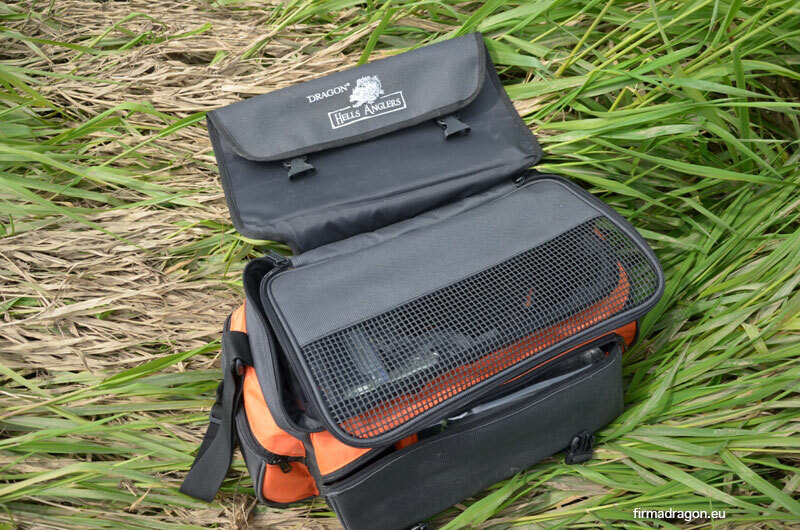 I tested the bag when I was fishing from a boat. 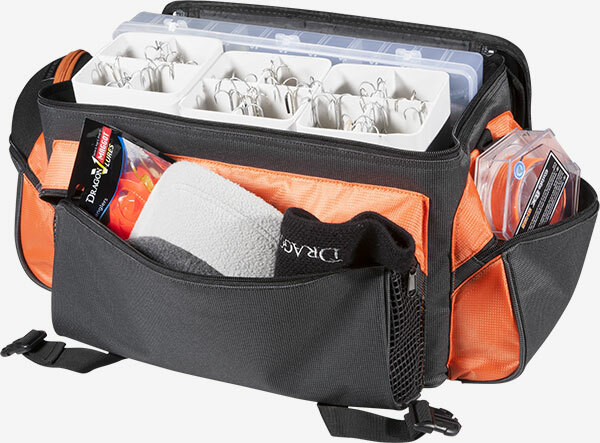 It can hold several big, flat boxes. Thanks to elastic band of the bottom surface it does not move even on wet surface. 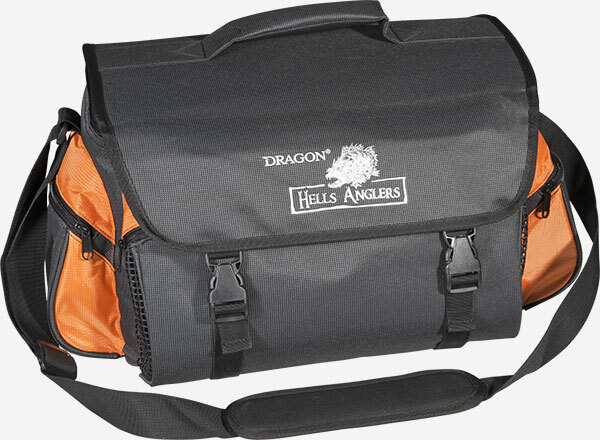 All Hells Anglers accessories have characteristic steel grey colour with orange accents. 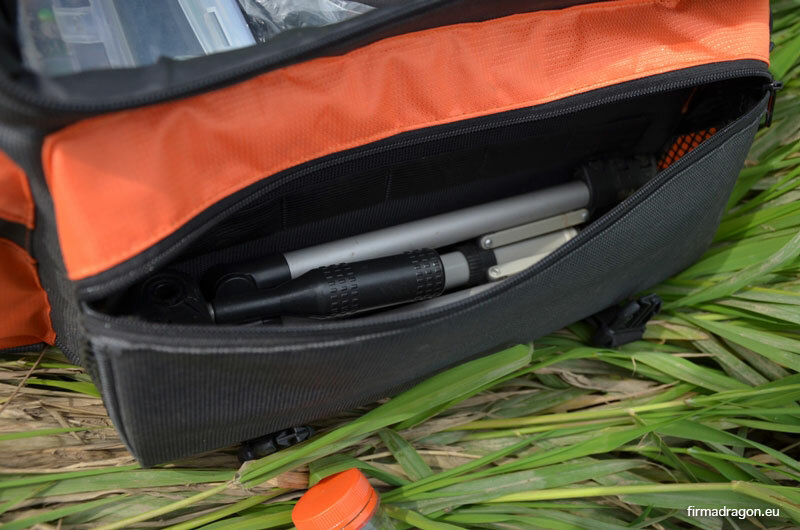 Thanks to those accents the bags are easy to recognize in coastal plants. When mentioning the details, such as colours, it is worth to mention about other nuances, which together form one whole. 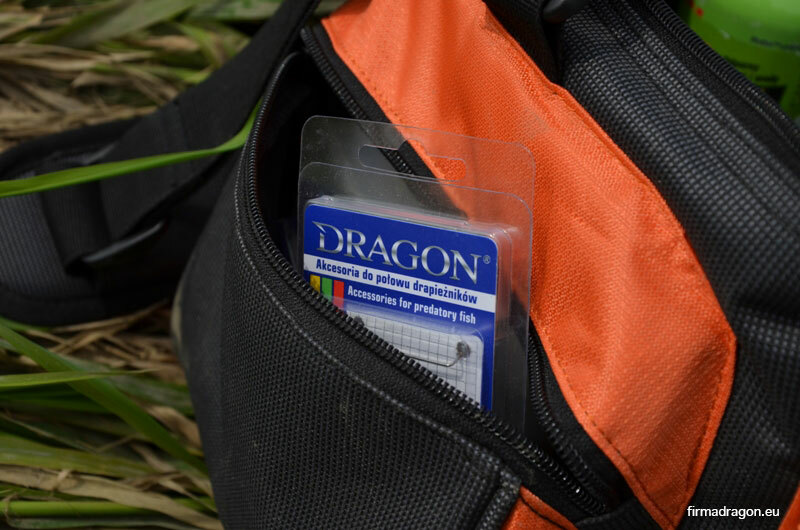 The materials from which the bag was made are not only strong and durably but they are easy to keep clean. All the zippers, buckles are the highest quality and I cannot remind myself any situation when I had problems with them.